Have we found the Female Usain Bolt? 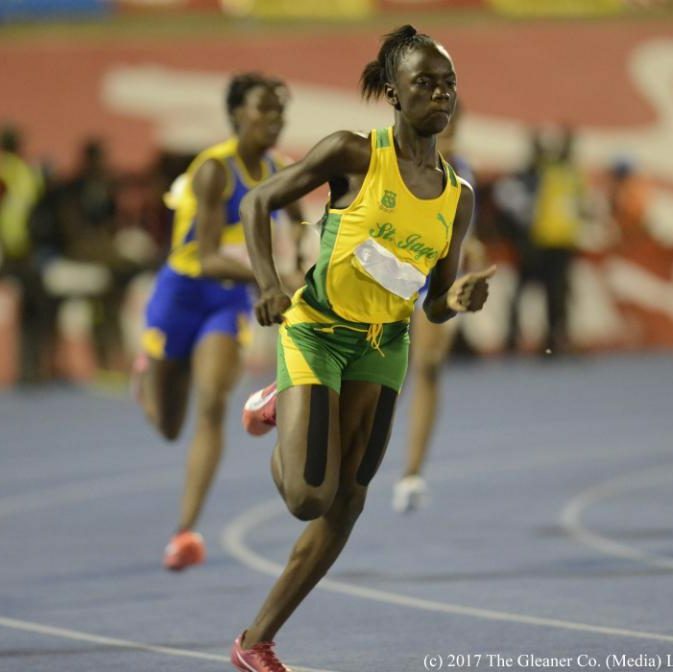 Jamaica may finally have found a successor to sprint legend Usain Bolt, after 12-year-old Brianna Lyston produced an astonishing display of sprinting at the 2017 Boys and Girls Championships. In a style reminiscent of eight-time Olympic champion Bolt, Lyston swept all before her in the 100m and 200m events – setting a record time in the latter while easing up before the finish line. Lyston became the first-ever under-13s athlete to run a sub-24-second time at the Champs, and with Usain Bolt heading for retirement at the end of 2017 Jamaica will hope it has witnessed the birth of its next all-conquering track hero. Sadly, Lyston's devastating run of 23.46 seconds in the 200m semi-final was not wind-legal, with the wind-speed at +2.2 metres per second – but she continued her astonishing form unperturbed in the final to set a wind-legal record of 23.72s. The 12-year-old's times are only a little more than two seconds off the senior women's 200m world record, set back in 1988, and saw Lyston a whopping near-full second clear of her nearest rival in the final. Lyston made the most of her lane-four draw and had made up the stagger on Tina Clayton outside her in lane five after less than 50 metres – and Clayton would end up being her nearest rival, in second. 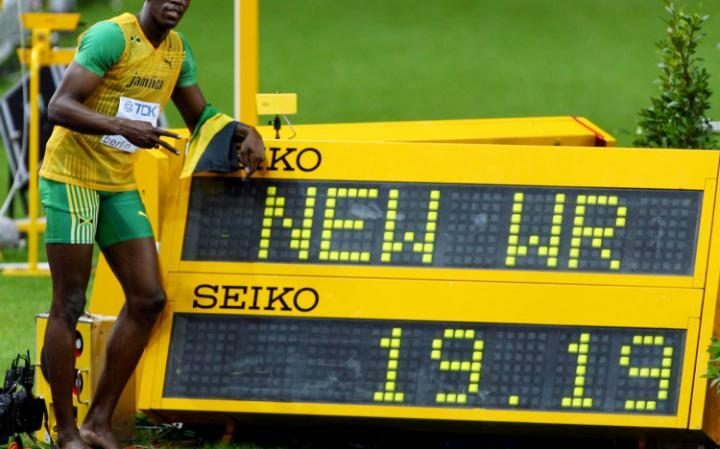 The young Jamaican is ahead of the development curve set by eight-time Olympic champion Bolt in his own youth. Bolt, 30, is heading for retirement after the 2017 track and field world championships in London; Brianna may have some distance to cover to reach her fellow Jamaican's level, but on this form it surely won't be too many years before she is troubling the senior sprint ranks. With all the confidence bestowed on youth Brianna had warned her competitors coming into her latest event that she was capable of running even faster - and she was true to her word. "I think I can go much faster, I am looking for 23.80 seconds. My coach told me to go out and make the semi-finals and I plan to run hard in every race," she told the Jamaican Gleaner newspaper. Like Brianna, Bolt began to excel in athletics at an early age his school, becoming the fastest 100-metre runner at his school, Waldensia Primary, at the age of 12. But his love of football and cricket meant he did not concentrate on athletics until the age of 14, making a serious impression at the same National Athletic Championships event which first saw Brianna shine. Her triumphant times at last weekend’s Boys and Girls’ Athletics Championships have sparked jubilation on the island, where she is being hailed as a potential Olympic champion. 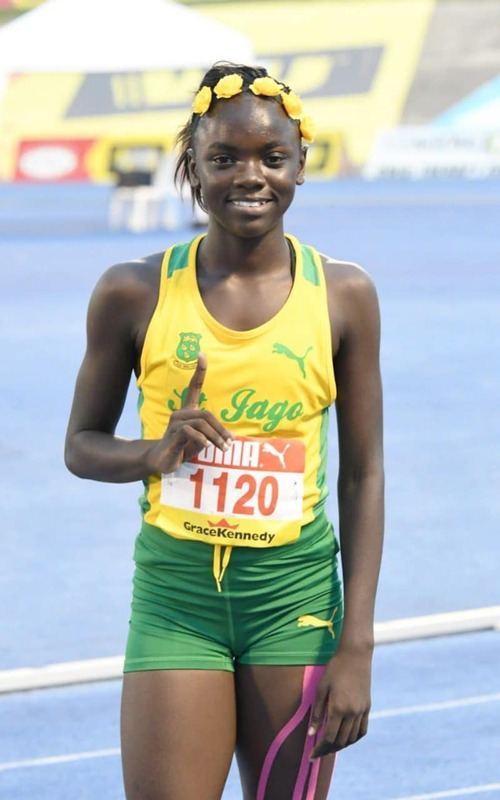 Brianna first began to impress on the track as a pupil Southborough Primary School before going on to St Jago High School in Spanish Town, St Catherine. St Jago’s is one of the oldest, continuously operated schools in the Western Hemisphere and is renowned for producing some of Jamaica's top athletes, as well as many of the island’s senior military officers and academics. Brianna training regime sees her run every day of the week after school and sometimes on a Saturday. “Brianna wants to be a nurse when she grows up, but she also wants to become a professional athlete,” said Mrs Bennett. “Most of her spare time outside of school is taken up with running. She just loves it. “She’s been running at this pace since the age of 10 and she looks up to athletes like Usain Bolt. Following her triumph at the weekend Brianna posted on her Facebook page the latin motto “Labor omnia vincit” (work conquers all). In other words, watch out world, here I come. How Brianna compares . 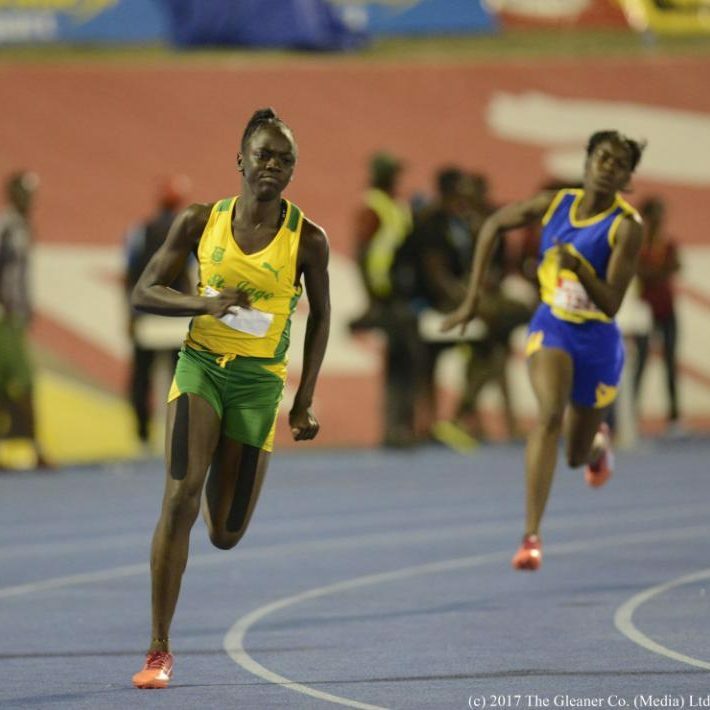 . .
Brianna Lyston won the Boys and Girls’ Athletics Championships, Jamaica, 200m final last weekend, with a time of 23.72 seconds. She went on to win the 100m Under-13 final with a time of 11.86, just 1.24 seconds off the Women's Olympic Record set in 1998 by Florence Griffith-Joyner, who was then 17 years Brianna’s senior. Usain Bolt’s first recorded time in the 200m, at the age of 15, was 21.81 seconds, 1.91 seconds faster than Lyston, he was however 3 years older. Eight times Olympic gold medal winner Bolt went on to set World Record times in 100m (9.58s) and 200m (19.19s) at the 2009 World Championships, in Berlin - 2.28 seconds and 4.53 seconds faster than Brianna.